Lumber is one of the most abundant and easily accessible building materials. When harvested properly, this material makes construction eco-friendly as it is a renewable resource. Lumber has been used for hundreds of years by various groups of people for the purpose of building warm, sturdy homes. Crucial to construction, lumber provides the basic frame of many homes and buildings. Although it is essential to the frames of many buildings, this versatile product is also used throughout homes in items such as doors, windows, and floors. 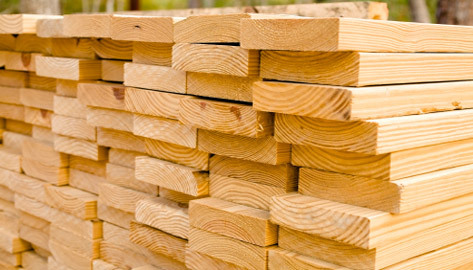 Ranging from softwood to hardwood, lumber has many forms and can be used in many ways.